Home / Bass Bits for the Brave / Efficient Practice Hacks: Sleep! Put Your Bass Under Your Pillow for Maximum Practice Effect. That’s it! If you do this right before sleep, you will enhance your learning during those zzzzzs. 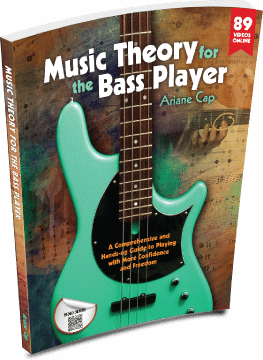 Don’t expect to wake up sounding like Jaco, but do expect that it will be better than yesterday, as you pick up your bass for today’s session! Read the Article on notreble here. Also make sure you did not miss this blog post on various learning channels. I can attest to this. When I was first learning my bass I was taking pretty regular naps after school, but I’d always pick my bass up as soon as I got home. I’d wake up being able to play a line I was otherwise struggling with before. Awesome, Casey. Yes, it definitely works. Thanks for your comment and sleep well, uh, I mean practice well! Hehe 🙂 Sweet dreams and I wish you a very efficient practice session, zzzzzzzzzzzzzzzzzzzz. Yep, I have known this since my school days and practiced it a lot. It definitely works. Also seeing yourself playing that particular part or riff that you’re struggling with, just before you go to sleep and tell yourself that your brain will process everything you’ve learned today in sucha manner that your body has learned it when you wake up. Will make you advance a lot quicker. Thank you for your comment, Amigo! Awesome that you did/do that. I love stuff that works, especially if it is a small tweak like that with big results! Something similar that can help to develop your skills is known in hypnosis as Deep Trance Identification. In a trance you imagine yourself being with your idol bass player. You feel the persons energy and slowly merge with him/her and see yourself playing as if you where them. People have made huge jumps in skills just with their mind through this. Works for everything. Great comment. I have a hypnosis background, too, and NLP, big influence on all my writings. Nice to meet you, Amigo. Ari, there is a Ted Talk which speaks to this idea. The brain works to narrowly focus on new information, then digest it, and connects it to other pieces of information to be applied later.